For 90 years Paramount has been providing customers in Nebraska with high level service. As a family owned and operated company, we’ve always emphasized taking care of our valued customers. The Allman family has owned the company since 1970, and we are proud to serve over 1400 customers in southeast and central Nebraska. Our success has been based on being responsive to customer needs, and creating a value for you. We partner with our customers to provide you the quality and service you need to make your business a success. We are a family owned company with big company expertise. 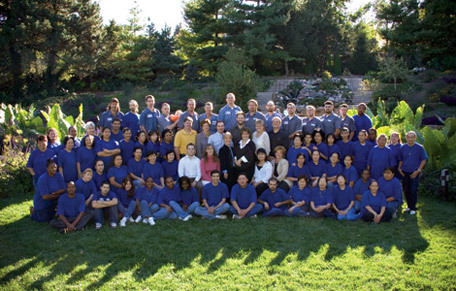 Our more than 100 employees are dedicated to exceeding you expectations! Great people and great service! They are always in tune with my needs and take care of my peak weekends. Our orders are adjusted so we don’t run out. Our service representative is always in contact with us. Our service is professional. Our uniforms are monogrammed, we have free lockers, and a conscientious routeman. The service manager comes out to see us on a monthly basis and takes care of anything we need. We are very happy overall. We have had Paramount as our uniform, mat & shop towel supplier since we opened and have had no reason to look elsewhere. We appreciate the service they have provided over the years. Paramount provides us with a quality uniform program at a competitive price. We are very happy with the personal service we receive from their entire staff. We are very happy with Paramount. We enjoy the personal service and the relationships we have developed. They are always very prompt in taking care of our needs. We have been with Paramount for over 20 years. We have a great routeman and a service person who makes a weekly on-site visit. Everyone is very responsive when we ask for something. We enjoy the hometown, personal service. We enjoy working with Paramount and know their staff will do what it takes to fulfill our linen needs. We especially appreciate the variety of napkin colors we are able to use for our many events. We really like our routeman, and he takes care of everything for us. The quality of the uniforms is great, and new men are out to us in about 10 days. We are very satisfied with Paramount. and the response time to any questions is fantastic. We certainly appreciate the cooperation with Tom, Jeni and everyone at Paramount Linen.